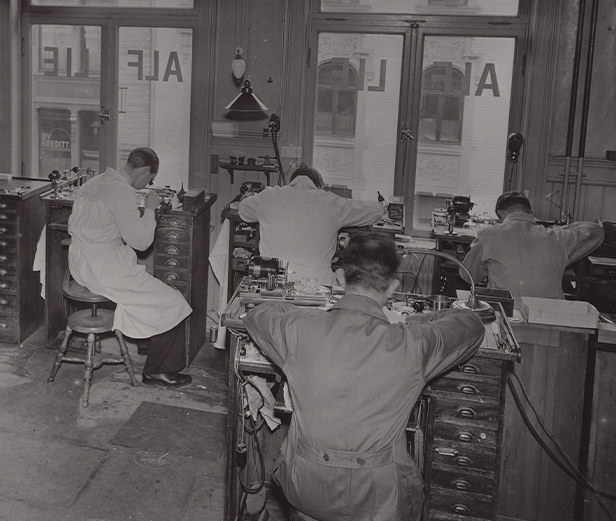 Our brand began life in Norway, becoming the country’s most renowned watchmaker. Today, Alf Lie watches are entirely Swiss-made by hand. Crossing continents and centuries, this is our journey. 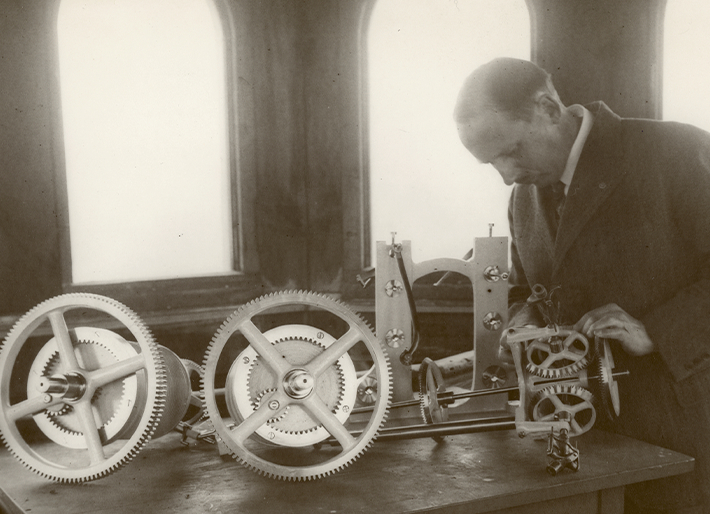 Our history as one of Norway’s oldest watchmakers extends back to 1836 when founder Michel Paulsen returned from Hamburg and started a business in Christiania (Oslo today). He quickly gained a reputation as a skilled watchmaker – one who worked with high precision. Many of his masterpieces are still in use in Oslo today. In 1853, Paulsen provided a clock to the University of Oslo which is still on display today. In 1903, Alf Lie went to U.S. for several years in order to learn his art from the prestigious manufacturers of the era. In New York, he was one of Tiffany’s most skilled watchmakers and at Black, Star & Frost, he worked on personal orders from Henry Ford, the Vanderbilt family and other famous Americans. When he returned to Norway in 1913, he took over the family business and gave it the name it has today. The experience he had gained abroad provided him with an expertise far beyond that of the typical Norwegian watchmaker. 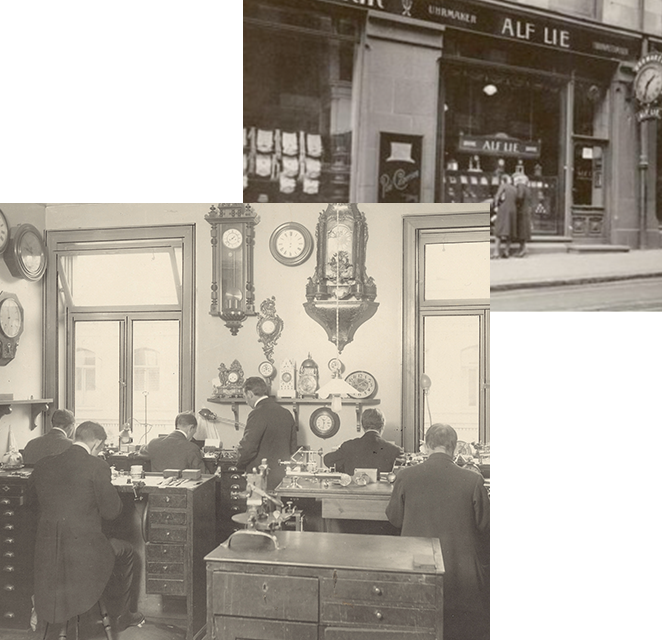 In 1918, the company, under the leadership of Alf Lie, expanded to become one of the largest watchmaker shops in Oslo. Alf Lie has delivered to the Norwegian Royal Castle for 70 years and had their clocks and watches regularly adjusted by Alf Lie, along with many police stations and churches in the region. He also provided the accurate time signal to the Norwegian National Broadcasting Service that allowed it to broadcast the exact time to the Norwegian people. The collection ”Grand Nor” is based primarily on the legacy forged by its predecessors who built Norway into the great success it is today. The beauty, authenticity, freedom, safety, strength and the pursuit of the future are among the key elements that make up the DNA of this collection. 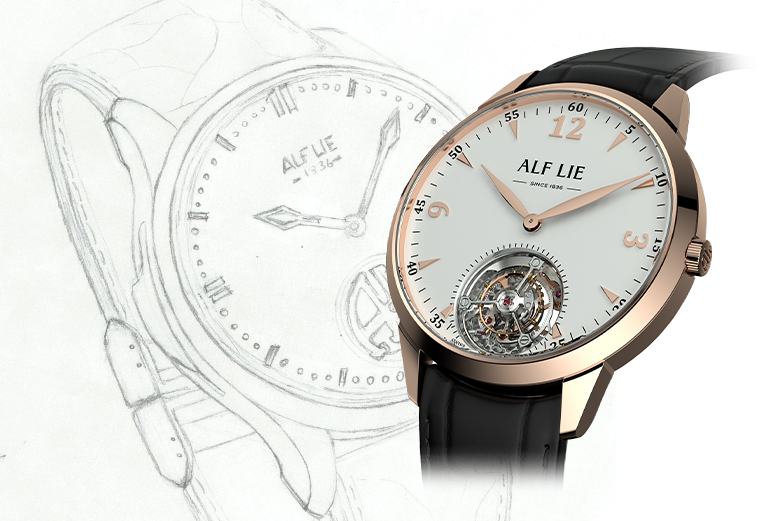 Alf Lie’s vision of the AL01 model is suitable for a concept that exhibits truly high quality with a movement of very high complexity. Alf Lie 1836 produces each watch in Geneva, Switzerland, in our own workshop. 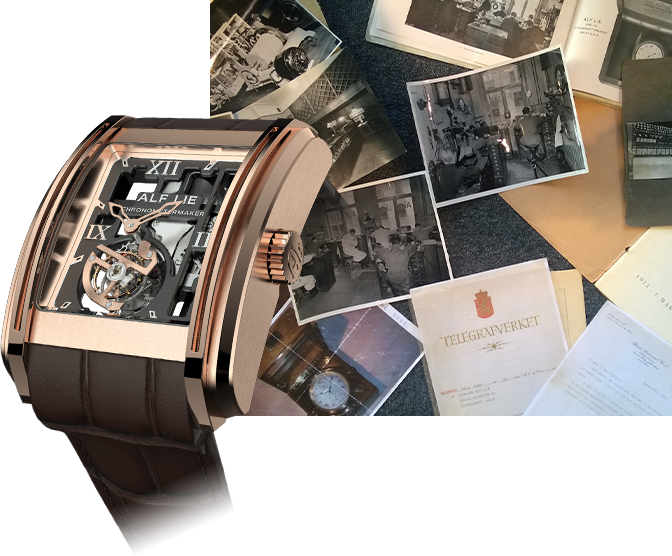 We work together with one of the finest watchmaking companies in the world, MHC in Geneva. When we celebrated our 180 year anniversary in 2016, we presented the ”Tribute to the Past” collection. Limited edition, it brings together the past’s finest design and today’s finest movement.